We are all going to retire in the future. Perhaps some already did or on their retirement stage already. But for us who are still on the way, we better plan it ahead on time. Failure to do so will have great impact on our life. To make planning easier, I’ve made an excel template for you to use as a guide. It’s not perfect but at least you have the basic idea which you can enhance in future. What’s important is that you will be aware of your current situation while you still can do something about it. Here’s some of the features of the template. Typical retirement template only assumes that you have lumpsum amount upon retirement to last your remaining days. This template however, assumes that we are either investors or business owners with passive income to augment and grow our retirement money. There are risks involve, but it’s worth it. DATA SECTION. These is where you will keyin all the details about your planning. It is self explained and very easy to understand. You just need to provide details on the black box, the rest will be filled automatically. Once this is done, voila! Your data is good to go to project your retirement. PRE RETIREMENT SECTION. These is the part that will show you figures, pre retirement stage. As it is difficult to stop the data at your retirement age, I just put RED mark on it. Here you will have idea on how much you can still save and invest before retiring. POST RETIREMENT SECTION. 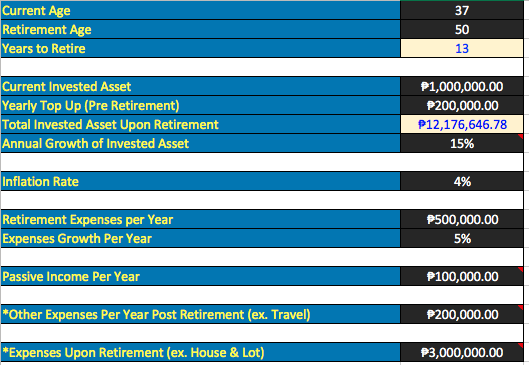 Here you will see you finances after retiring whether it can sustain you or not. It will also show projected value of your money in years to come. 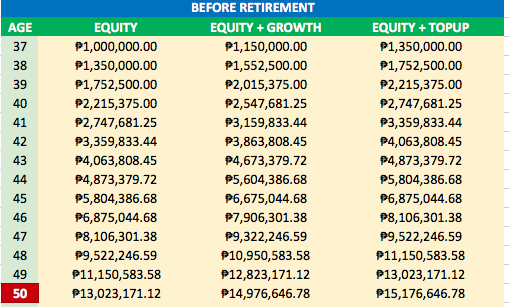 By using this data, you can check whether you have enough money to last on your retirement days. This will be automatically populated base on the data you keyin. TVM GRAPH. This is the time value and money graph. This is just a graphical representation of your finances after retirement. It’s good if your graph shows upward trend than downward, which means you’ll lose money in future. If that’s the case, try to edit some of your data on first part to change the course of your future. This template is FREE 🙂 Thanks to my friend Rex Holgado for automating it as I am doing this manually before. 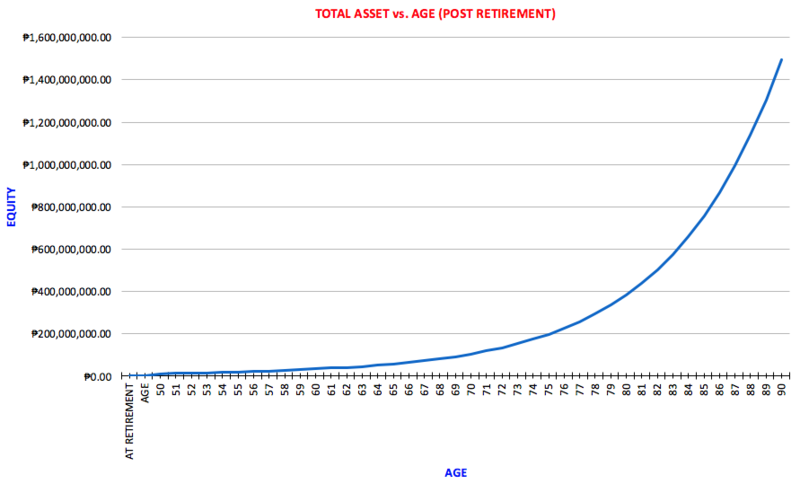 Click LIKE and send me a message so I can send you the retirement template, whether thru facebook or email.